Damn. Damn damn damn. I thought I was done with this thread. Then I saw Diamine Night Sky, and thought, "Huh. I wonder if I can mix Lexington Grey and Old Manhattan Blackest Black, with some silver Luster Dust, could produce a gorrrrgeous shading grey-black with shimmer.... Damn damn damn. Sigh. So the brands for this were Luster and....? I've been wanting to make an ink-dust mix for this webcomic I read, so I've been mixing Ancient Copper luster dust with various purple inks. So far I've tried Diamine Syrah and Chesterfield Antique Orchid, and while the latter is closer to what I want, I still haven't hit the holy grail yet. Might try mixing it with Poussiere de Lune and some Pelikan Edelstein Amethyst next (though I'm a bit loath to do so with the latter). I've been having a harder time completely flushing out my pen though, so I've only been using the Jinhao 599A for all luster dust mixes. Doesn't hurt the pen, but just can't wash it all out! Edited by oceanlover4evr, 19 March 2016 - 16:57. I'm slightly displeased to note one of my containers of luster dust opened in my ink drawer, so now the stuff is coating everything. Welp. Don't sneeze . . . 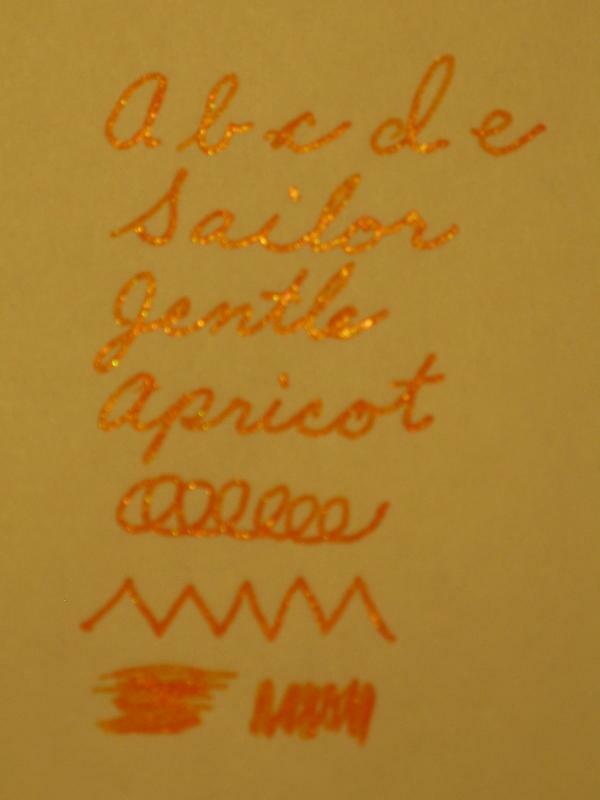 Sunny Sailor's Jentle Apricot amended with gold. 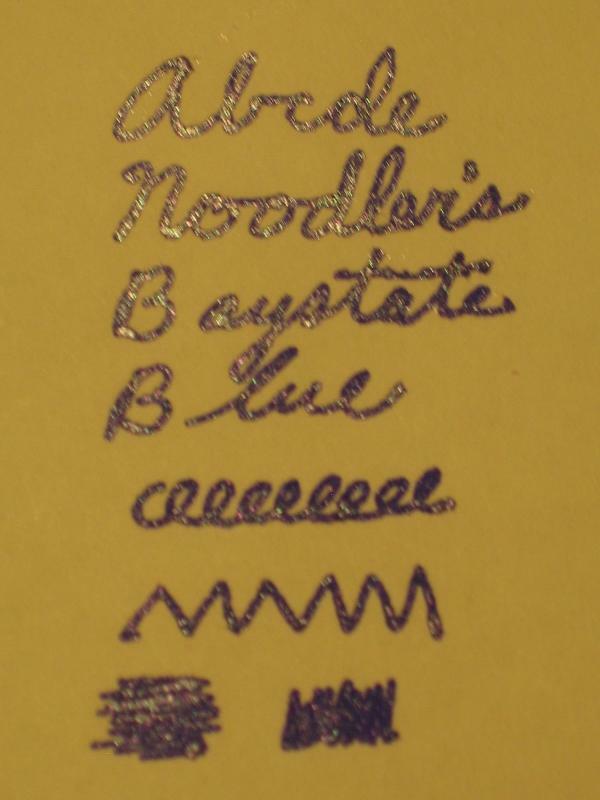 Icy Noodler's Baystate Blue amended with silver.